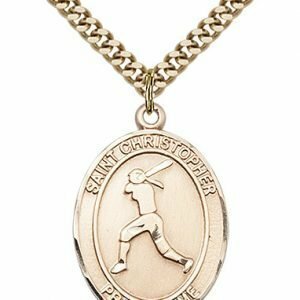 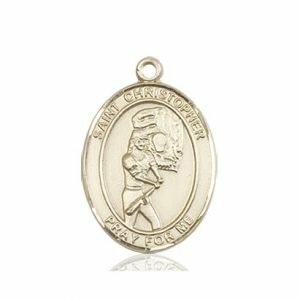 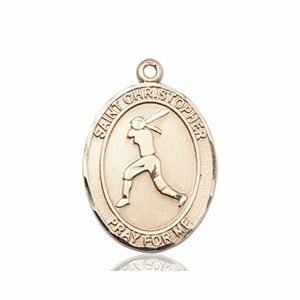 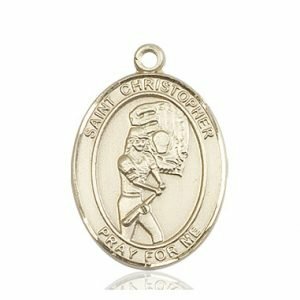 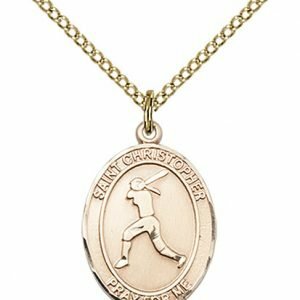 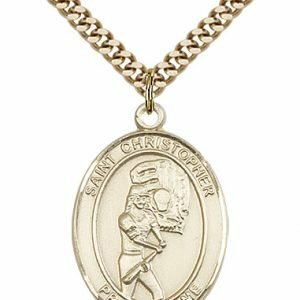 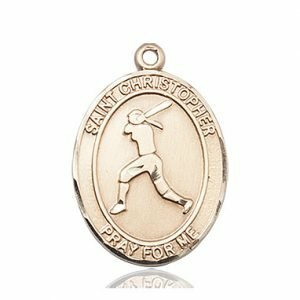 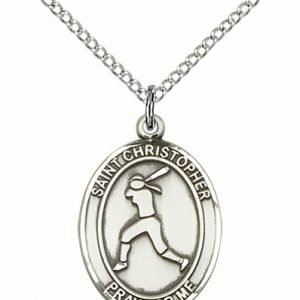 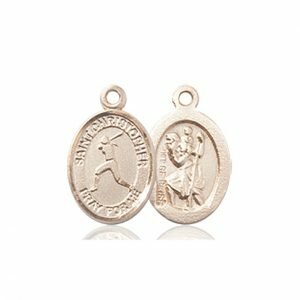 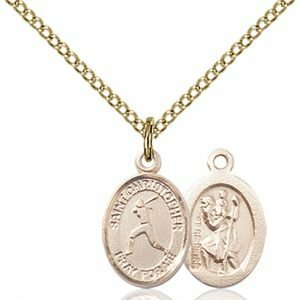 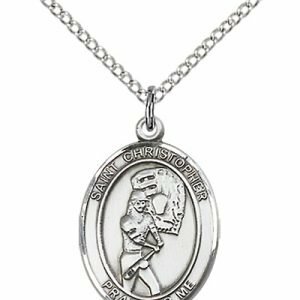 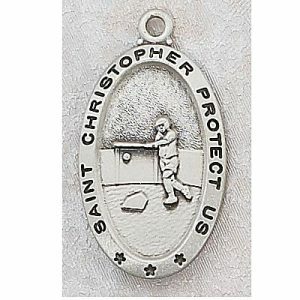 St Christopher Softball medals and necklaces are often worn by players, coaches and fans of softball. 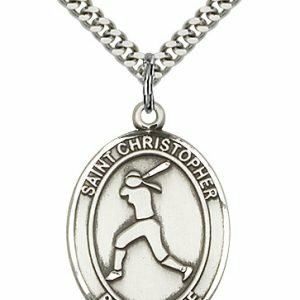 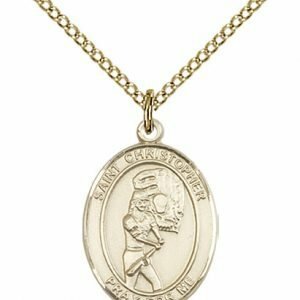 There are worn as a devotional medal to ask Saint Christopher to intercede for the safety of the wearer and others participating in the sport. 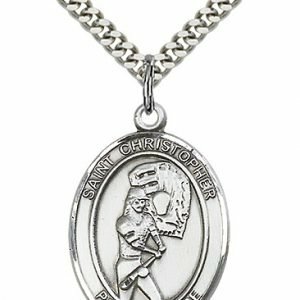 Especially when travel is involved, since St. Christopher is the patron saint of travel.